Ballast Quay, little more than a shingle beach, can be seen in the middle ground. 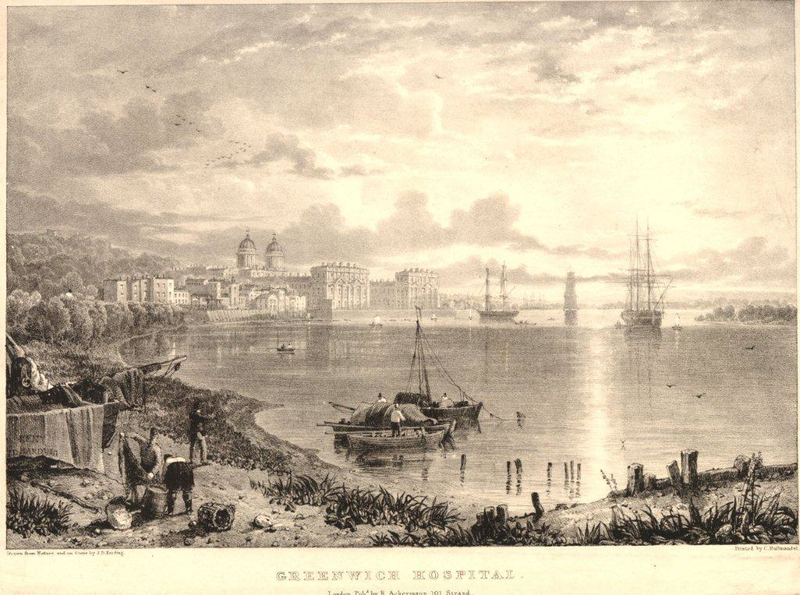 A view of the Royal Hospital at Greenwich from the marshes. Cranes on Anchor Iron Wharf and houses on Ballast Quay are visible in the middle ground. 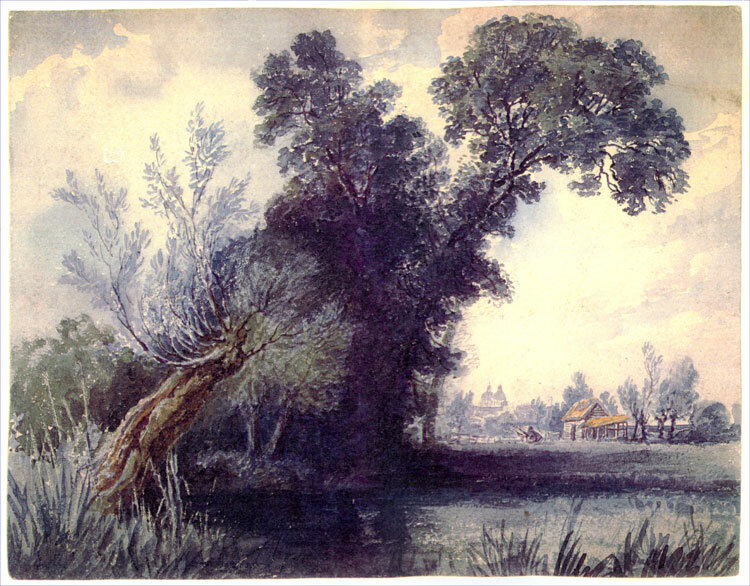 Before it was drained and became the lucrative industrialised river frontage of the 19th century, the Greenwich Peninsula was marshland and was leased to farmers as meadowland for grazing cattle and horses and for the growing of small willows or osiers for basket making and lobster cages. 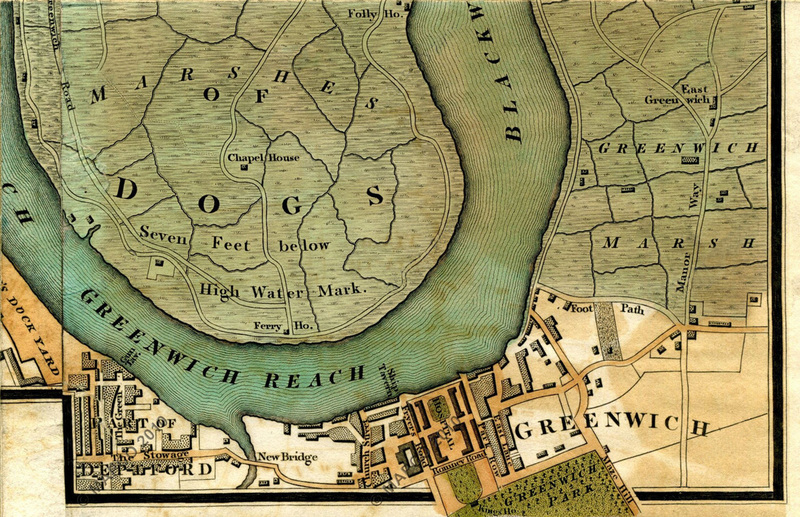 A gate, described as "a wicket with lock and key", marked the western boundary of the Greenwich Marsh and Ballast Quay and is shown on plans attached to Morden College leases. 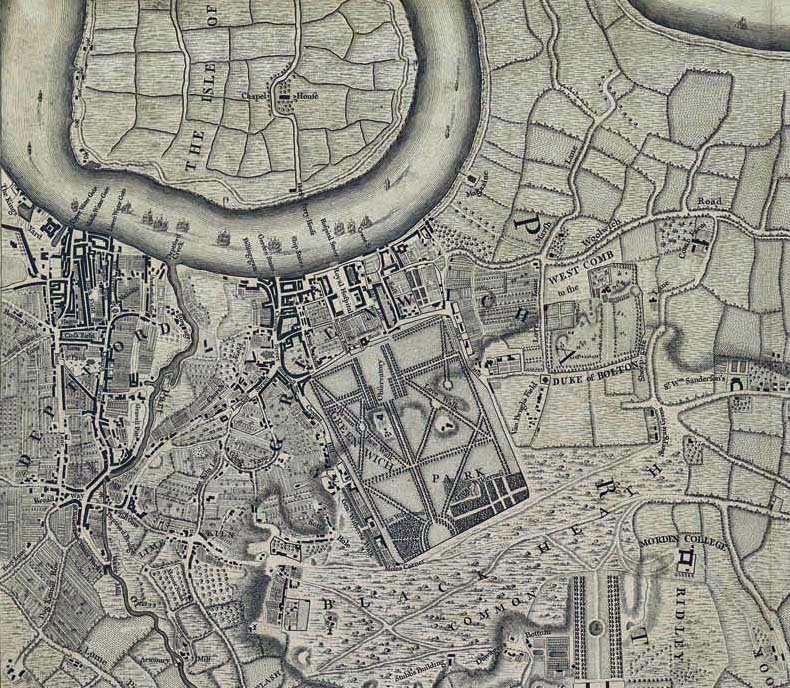 A detail showing that the substantial area of the Greenwich Marshes on the Peninsula had hardly changed since Rocque's survey in the mid-18th century . The recognisable shape of Anchor Iron Wharf is clearly identifiable, as are buildings on Ballast Quay. 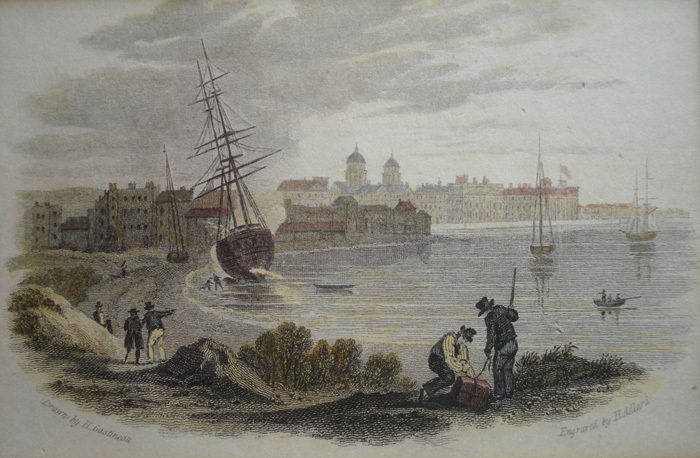 Historian Julian Watson recounts the history of Ballast Quay in East Greenwich, from the 10th century ownership of the land by the Abbey of St Peter in Ghent, Flanders, to the 19th century industrialisation of the marshland and the post-industrial regeneration of the former wharves which formed the backdrop to the Georgian and Victorian houses of Ballast Quay.